The Toronto Argonauts have pulled an advertisement from city subway cars and stations after receiving complaints that it promotes domestic violence. 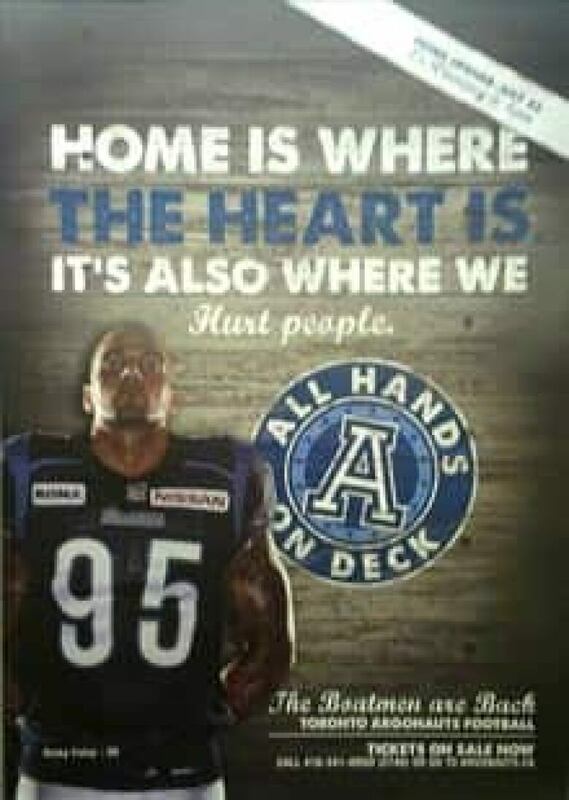 The ad – which was meant to drum up support for the CFL team — showed defensive end Ricky Foley with the caption, "Home is where the heart is. It’s also where we hurt people." Toronto city councilor Mike Layton wrote a letter to the Argos president Bob Nicholson, explaining why he wanted the ad pulled. This ad drew a 'handful of complaints,' according to David Bedford, the Argos' VP of marketing and communications. "While I understand the intended meaning, my concern is the unintended consequences," Layton said. "In the context of domestic violence, the ad insinuates that domestic violence in the home is acceptable or normal. The ad may also trigger traumatic responses in the many survivors of domestic violence who are courageously moving forward with their lives." 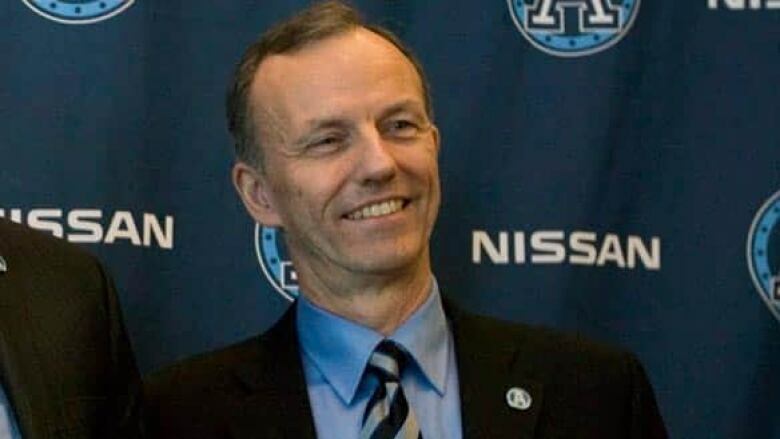 David Bedford, the Argos’ vice-president of marketing and communications, said the team pulled the ad almost immediately, but they never considered the posters would be viewed that way. "It's very clear it's a football player in a football uniform talking about promoting the opening game for a football team," Bedford said Tuesday. "I think it's pretty common knowledge that football is a contact sport and a physical game. "We didn't look at it in the context of domestic violence and we probably should have, given that we've had a handful of complaints." Bedford says the team will replace the posters — which went up on June 20 in Toronto Transit Commission subways cars and stations — with advertisements meant for GO Transit trains. The new posters will read "We’re not looking for passengers." The Argos kick off their home opener July 23.